Depois de meses de rigoroso alinhamento de processo e extensa auditoria, a Altaaqa Global Caterpillar Rental Power, fornecedor líder global de soluções de energia temporária multi-megawatt, obteve a certificação ISO 50001:2011 da TÜV NORD, o órgão certificador reconhecido pela ISO sediado em Hanover, na Alemanha. A ISO 50001:2011 especifica os requisitos para estabelecer, implementar, manter e aprimorar um sistema de gerenciamento de energia cujo objetivo é permitir que uma organização siga uma abordagem sistemática para obter aprimoramento contínuo do desempenho energético em suas operações e projetos. Em 2014, a Altaaqa Global também obteve as certificações ISO 9001:2008 (Sistema de Gerenciamento de Qualidade), ISO 14001:2004 (Sistema de Gerenciamento Ambiental) e OHSAS 18001:2007 (Sistemas de Gerenciamento de Segurança e Saúde Ocupacional), tornando-se parte da lista de elite de empresas mundiais que concluíram uma auditoria tripla e receberam todas as certificações em seu primeiro ano de avaliação. A Altaaqa Global, uma subsidiária do Grupo Zahid, foi selecionada pela Caterpillar Inc. para distribuir soluções elétricas completas e temporárias de muitos megawatts em todo o mundo. A companhia possui, mobiliza, instala e opera centrais elétricas eficientes independentes temporárias (IPP) nas localizações do cliente, focando-se nos mercados emergentes da África Subsaariana, Ásia Central, Subcontinente Indiano, América Latina, Sudeste da Ásia, Médio Oriente e Norte de África. Disponibilizando equipamento de energia elétrica de aluguel que pode operar com tipos de combustíveis diferentes, tais como diesel, gás natural ou bicombustível, a Altaaqa Global está posicionada para instalar e implementar rapidamente soluções com centrais elétricas temporárias, fornecendo eletricidade sempre e onde quer que seja necessária. O Grupo Zahid representa uma gama diversa de empresas, oferecendo soluções abrangentes e centradas no cliente em vários setores em expansão. Algumas dessas atividades incluem construção; mineração; petróleo e gás; agricultura; geração de energia, eletricidade e água; manuseio de materiais; materiais para construção; transporte e logística; desenvolvimento imobiliário; viagens e turismo; gestão de resíduos e reciclagem; e hospitalidade. A TÜV NORD International GmbH & Co. KG tem relações comerciais estabelecidas em mais de 70 países na Europa, na América, na Ásia e na África e está representada agora em todos os principais mercados mundiais. O Grupo TÜV NORD reuniu sua competência reconhecida, seu talento inovador e versátil e diversas empresas que são líderes em seus segmentos de mercado sob o controle geral da TÜV NORD International. Hoje, o know-how desenvolvido com o passar de vários anos e uma dedicada e forte equipe de trabalho de mais de 8.400 funcionários em todo o mundo garantem que a “TÜV NORD” seja vista como um nome mundial quando se trata de segurança, qualidade, competência e confiança. After months of rigorous process alignment and extensive audit, Altaaqa Global Caterpillar Rental Power, a leading global provider of multi-megawatt temporary power solutions, has achieved ISO 50001:2011 certification from TÜV NORD, the ISO-accredited certification body headquartered in Hanover, Germany. ISO 50001:2011 specifies requirements for establishing, implementing, maintaining and improving an energy management system, whose purpose is to enable an organization to follow a systematic approach in achieving continual improvement in energy performance within its operations and projects. In 2014, Altaaqa Global has also achieved ISO 9001:2008 (Quality Management System), ISO 14001:2004 (Environmental Management System), and OHSAS 18001:2007 (Occupational Health and Safety Management Systems) certifications, making it part of an elite list of global companies to have ever completed a triple audit and received all certifications in its first year of evaluation. Altaaqa Global, a subsidiary of Zahid Group, has been selected by Caterpillar Inc. to deliver multi-megawatt turnkey temporary power solutions worldwide. The company owns, mobilizes, installs, and operates efficient temporary independent power plants (IPP’s) at customer sites, focusing on the emerging markets of Sub-Sahara Africa, Central Asia, the Indian Subcontinent, Latin America, South East Asia, the Middle East, and North Africa. Offering power rental equipment that will operate with different types of fuel such as diesel, natural gas, or dual-fuel, Altaaqa Global is positioned to rapidly deploy and provide temporary power plant solutions, delivering electricity whenever and wherever it may be needed. Zahid Group represents a diverse range of companies, offering comprehensive, customer-centric solutions in a number of thriving industries. Some of those include construction; mining; oil & gas; agriculture; power, electricity & water generation; material handling; building materials; transportation & logistics; real estate development; travel & tourism; waste management & recycling; and hospitality. TÜV NORD International GmbH & Co. KG has established business relationships in more than 70 countries of Europe, America, Asia and Africa and is now represented in all major world markets. The TÜV NORD Group has combined its acknowledged competence, versatile innovative talent and also many companies who are leaders in their market segments under the umbrella of TÜV NORD International. Now, know-how developed over many years and a dedicated, 8,400-strong workforce worldwide ensure that “TÜV NORD” is accepted as a global name for safety, quality, competence and trust. 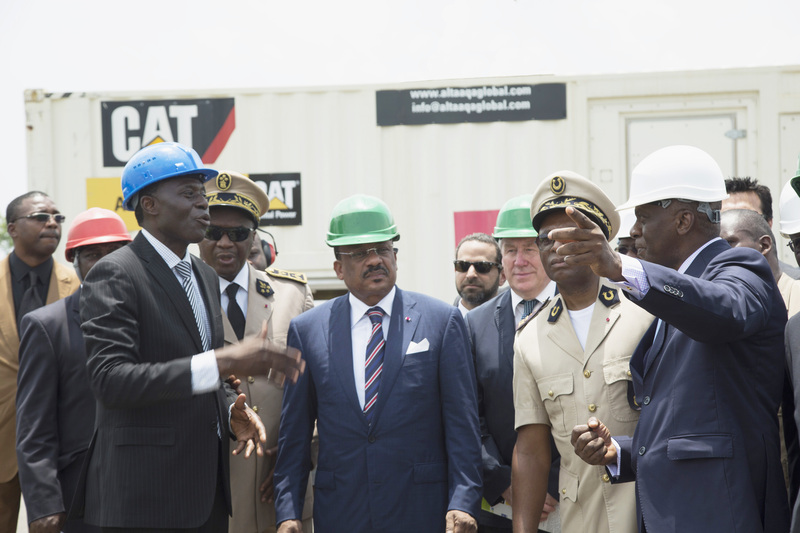 DUBAI – Altaaqa Global Caterpillar Rental Power, a leading global temporary power solutions provider, and Caterpillar Inc. have developed a solution to one of Cameroon’s biggest challenges: reliable energy access. This solution is not only about transferring power but also knowledge and prosperity across the African country. In 2015, Altaaqa Global installed a 50 MW natural gas power plant in Cameroon’s most populous city, Douala, as an immediate solution to the city’s chronic electricity shortage. The power plant added reliable power to Cameroon’s grid, and provided its people and industries with a new, reliable source of electricity. Just as important as the power was ensuring a local team of highly trained professionals was able to oversee the operation of the power plant. Altaaqa deployed Caterpillar University, Caterpillar’s proprietary training platform, to launch a Customer Development Program. The pilot program, which will continuously run for one year, is offered to a team of select local engineers and technical professionals from Altaaqa Global’s client Eneo, Cameroon’s integrated utility provider. One of the key pillars of Altaaqa Global’s sustainable business model is extending employment and learning opportunities to local communities where it has projects, with the aim of enhancing their skills and transferring world-class industry knowledge to the local workforce. To facilitate the transfer of knowledge and skills to Eneo’s team of local engineers and professionals, Altaaqa Global launched a tailored customer training program, in cooperation with Caterpillar University. The program features three methods of instruction: classroom teaching, online instruction and on-the-job mentoring with Altaaqa Global’s Cat-certified in-house technicians. To encourage a better understanding of technical concepts taken up in the classroom, Altaaqa Global enrolled the Eneo engineers in Caterpillar University, which features expert-curated modules on service, safety and equipment operation. For the purposes of the program, Altaaqa Global’s training engineers designed a learning plan that included carefully selected modules available on Caterpillar University. Considering their relevance to the participants’ tasks at site and to the engines installed for the project, the trainers hand-picked specialized courses on Environmental, Health and Safety (EHS) and Engineering Service. At the end of the year-long program, subject to the completion of all necessary on-line modules and a satisfactory performance in the final evaluation, the participants will be awarded a Level 1 Preventive Maintenance (PM) Technician certificate, and will thus be eligible to progress to second-level training. Altaaqa Global will conduct the program on a continuous basis, such that the training will be offered to every new team of engineers and technical professionals from Eneo. The training program is in accordance with Caterpillar’s sustainability strategy, which aims, among others, to promote economic and social development in areas where it operates. The company believes that an effective way to encourage sustainable social and economic progress is to educate local professionals on globally recognized industry best practices. Altaaqa Global and Caterpillar have produced a documentary video on the program, showcasing the effectiveness and benefits of Caterpillar’s tailored customer training solutions to dealers and customers all over the world. The video was premiered at the 2016 Africa Energy Forum in London, UK in late June, and was seen by energy ministers and other energy stakeholders from around the world. For 90 years, Caterpillar Inc. has been making sustainable progress possible and driving positive change on every continent. Customers turn to Caterpillar to help them develop infrastructure, energy and natural resource assets. With 2015 sales and revenues of $47.011 billion, Caterpillar is the world’s leading manufacturer of construction and mining equipment, diesel and natural gas engines, industrial gas turbines and diesel-electric locomotives. The company principally operates through its three product segments – Construction Industries, Resource Industries and Energy & Transportation – and also provides financing and related services through its Financial Products segment. Cameroon’s long-term electricity operator, Eneo (formerly AES-SONEL) is a semi-public company with 56% shares owned by Actis Group and 44% by the State of Cameroon. Eneo has an installed generation capacity of 968 MW. Its transport network connects 24 substations and includes 1,944.29 km of high voltage lines, 15,081.48 km of medium voltage lines and 15,209.25 km of low voltage lines. Its distribution network consists of 11,450 km of lines of 5.5 to 33 KV and 11,158 km of lines of 220-380 kV. Eneo has more than 973,250 customers, of which approximately 45% live in the cities of Douala and Yaoundé. Eneo employs 3,698 permanent staff. 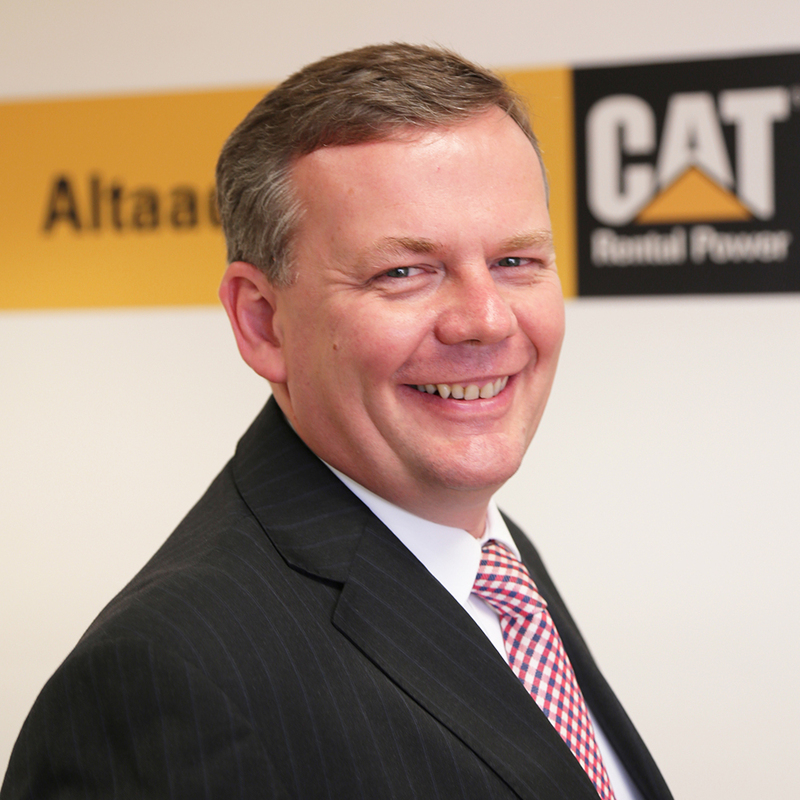 Altaaqa Global, a leading global provider of large-scale temporary power services, has appointed energy industry veteran, Julian Ford as Chief Commercial Officer (CCO), effective July 1, 2015. As the company’s CCO, Ford’s remit is to ensure that Altaaqa Global achieves revenue growth targets and overall commercial success, and to facilitate the formulation and implementation of innovative global commercial strategies. Ford’s career in the industry started at the time when the concept of power plants on a rental basis was just gaining ground. He had a hand in introducing the concept of power project rental to governments of developing economies, which allowed them to hire power capacity to address short term energy issues during times of hydropower shortage or other generation or transmission issues. A true visionary, Ford led the way for the development of the gas-fueled temporary power equipment market in the mid-2000s. “At that time,” explained Ford, “diesel costs were rapidly rising, and it was imperative to diversify the product offering and capitalize on the growth of natural gas reserves.” With keen interest in markets where gas reserves were not vast enough to be commercially developed, Ford pioneered a new business model that allowed countries to monetize their ‘stranded gas’ reserves to generate useful low-cost electricity for the national grid. Completed in just 21 days and boasting a combined capacity of 50 MW, the temporary gas power plants provide the country with a new reliable and sustainable source of power. On April 28, Altaaqa Global’s temporary natural gas power plants, with a joint capacity of 50 MW, were inaugurated at the Logbaba power plant site in Douala, Cameroon. The ceremony was attended by Dr Atangana Kouna Basile, Cameroon’s Minister of Water Resources and Energy, members of the government, and senior executives from Eneo Cameroon S.A. – the country’s integrated utility company – and Gaz du Cameroun (GDC), a wholly owned subsidiary of Victoria Oil & Gas (VOG). The rental gas power plants were installed and commissioned within just 21 days from the arrival of the equipment at the intended power plant sites. The successful completion of the temporary gas power plants stands as a testament to the viability of a synergetic business model featuring contributions from the government, the utility company, the fuel supplier and the equipment provider. The Cameroonian government and Eneo were the clients in this particular project, with Altaaqa Global providing the power generation equipment and taking responsibility for importing and installing the generators at the Logbaba and Ndokoti (Bassa) sites, while GDC supplied the gas to the rental gas power stations at both sites. In addition to the collaborative business model that led to its successful completion, the project can also boast of its environmental stewardship, with the power plants being run on natural gas. Altaaqa Global installed state-of-the-art gas engine generators at both sites to ensure that the power plants are not only dependable, but also environmentally friendly. In recognition of international emission requirements, which mandate the level of NOx emissions of equipment and industrial operations, Altaaqa Global engineered its gas generators so that an emissions threshold of 250 mg/Nm3 is not exceeded – even without after-treatment. Speaking on the sustainability of the project, Majid Zahid, Strategic Accounts Director of Altaaqa Global, said: “Our temporary gas power plant systems meet the requirements of worldwide emissions standards and do not harm the environment. These rental gas plants are designed for performance and reliability, while simultaneously being more environmentally friendly compared to systems running on other fuels. Because the generators run on natural gas, they do not require expensive after-treatment, therefore making them more economical to operate owing to more cost-effective fuel prices.” He added that gas systems were more flexible in terms of fuel usage, and would retain their efficiencies even with different fuel varieties. Electricity is vital to ensuring the on-going development of economies and industries – especially in emerging countries such as Cameroon. With the successful completion of these temporary gas power plants, the entire country will be provided with a reliable and sustainable source of electricity that will power Cameroon as it works to enhance its infrastructure and construct additional facilities to support its industries. Cameroon’s economy has weathered the drop in prices among its principal exports – petroleum, cocoa, coffee and cotton – and has remained largely stable in recent years. In 2013, its GDP growth reached 4.9%, and experts predict that, so long as there are strong performances from the construction, oil & gas, transport, telecommunication and hospitality sectors, it will remain at around that level through 2015. Cameroon’s government has been working to promote growth and employment in the country through continuous development of energy, transportation and telecommunications infrastructure, and is also eager to modernize the country’s production equipment and processes – particularly in the agricultural and manufacturing sectors. Victoria Oil & Gas (VOG) is an energy utility business and hydrocarbon producer, with energy supply operations in the industrial port city of Douala in Cameroon. The Company generates revenue through its 60% ownership of onshore gas production wells, and its energy utility subsidiary, Gaz du Cameroun S.A. (GDC), supplies cost effective, clean and reliable energy products to major industries in the region. Customers are primarily supplied with gas through an extensive pipeline network built by GDC in the Douala area. GDC products currently include thermal gas, condensate and gas for gas-fired electricity generation. GDC gas is attractive to customers due to its reliability, competitive price, low hydrocarbon emissions (compared to Heavy Fuel Oil) and adaptability to meet varied power requirement needs. Dubai based Altaaqa Global, the global provider of temporary power solutions, and sister company Altaaqa Alternative Solutions (Altaaqa), the leading provider of electrical power, water and temperature control solutions in Saudi Arabia, garnered major awards at the MEP Awards 2014 held on November 26, 2014, at the Sofitel Dubai The Palm Resort & Spa, Dubai, United Arab Emirates. Altaaqa Global was recognized for its outstanding health, safety and security initiatives in relation to the deployment of its personnel and equipment in hostile environments. Jeddah based Altaaqa Alternative Solutions, on the other hand, won the Specialist Contractor of the Year Award, following the successful completion of its 95 MW temporary power plant project in Al Kharj, Saudi Arabia in just 22 days. 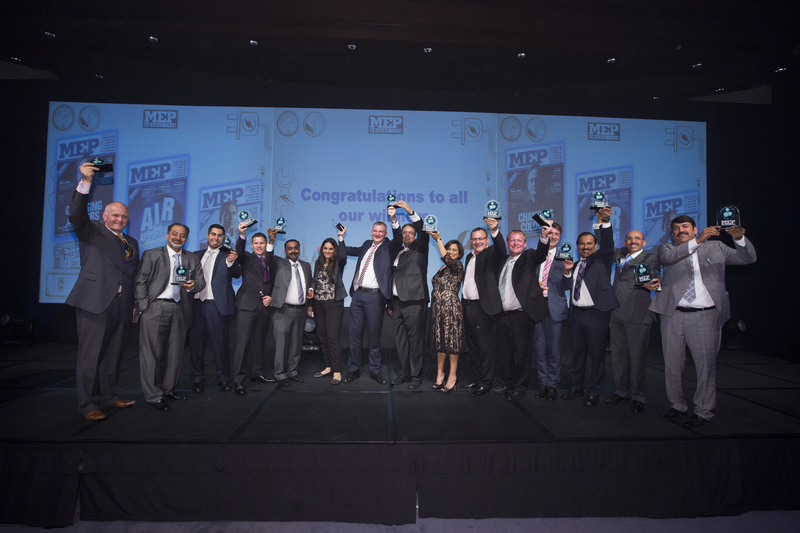 Altaaqa Global emerged victorious amidst a formidable line-up of nominees, including ETA Engineering, Arabian MEP Contracting, Mercury MENA, AECOM, and ALEMCO. Altaaqa bested a stellar pool of shortlisted companies, including Arabian MEP Contracting and SEMCO. The Health and Safety Initiative of the Year is awarded to a company that excels in maintaining or improving upon health and safety standards on its project sites, or which has introduced any specific training or awareness initiative. According to the esteemed panel of judges, with its entry, titled “Providing Adequate Security in Hostile Environments”, Altaaqa Global was able to demonstrate that through careful planning of project risk assessment, it is possible to ensure lives are protected, even in the face of highly demanding deliverables. On the other hand, the Specialist Contractor of the Year Award is given to a company that played a pivotal role in the MEP sector’s ongoing development, and that promotes sustainability and cost-effectiveness, helping the MEP sector benchmark itself globally. Bannering its historic 22-day completion of a 95 MW power plant in Al-Kharj, Saudi Arabia, the judges were convinced that Altaaqa showed that with a high level of coordination and planning, and by having what the judges dubbed as “nerves of steel”, it can deliver on highly challenging requirements. Steven Meyrick, commenting on behalf of the Board of Altaaqa Global and Altaaqa Alternative Solution, said that the recognitions would inspire both companies to further improve on its processes and courageously take on projects that push the boundary of engineering and health & safety best practice.